August 1 is the Swiss National Holiday. Throughout the country speeches on Switzerland, its existence and actions are held. We, too, take advantage of the occasion and look at the idea behind the label Swiss Made on our ochs und junior blog. The definition of Swiss Made has been a point of contention within the watch industry for some time. 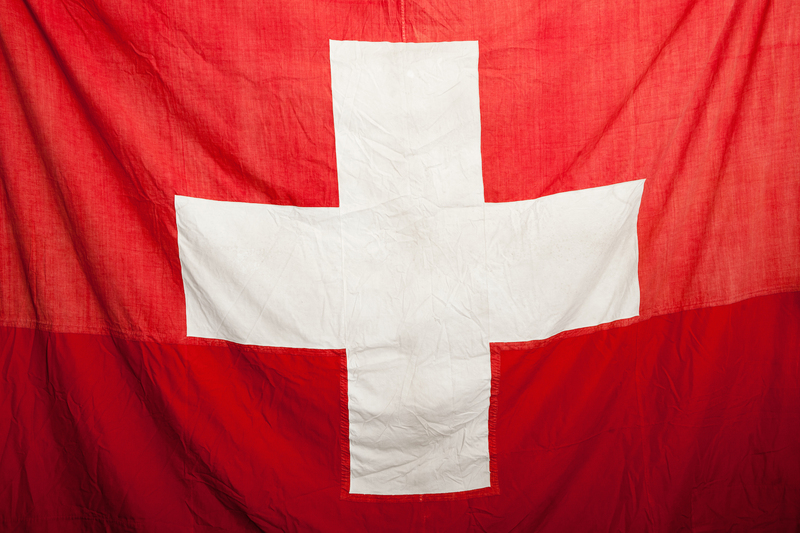 At present, the law requires that 60% of the value added must be created in Switzerland. This, however, leaves scope to produce numerous components, such as the cases, the dials or the hands, abroad. The Federation of the Swiss Watch Industry wants to raise the required ratio of value created in Switzerland to 80% for mechanical watches. The decision on this initiative has not yet been made – and the initiative is still partially contested by certain watch makers. ochs und junior doesn’t care about the required ratio – we believe that Swiss Made is an attitude, not a question of defining ratios which have to be met to receive a certain label. Ludwig Oechslin develops his watches by means of an intense thought process. They are designed with the smallest number of parts possible. Every component exclusive to ochs und junior – such as the functional dials, the gears, cases, and buckles – are manufactured in Peter Cantieni‘s mechanical workshop in Hinwil, Switzerland. Besides the ETA movements, there are just a few parts we still procure from within the watch industry. The glasses are supplied by Stettler in Lyss, the crowns by Pibor in Glovelier, the hands by Estima in Grenchen, and the gaskets by A. Aubry, again in Grenchen. Patinated dials or brass dials with a natural finish are made 100% by Peter Cantieni, who manufactures even single executions to our specifications. If our clients ask for certain dial colors, only then do we give our dials Cador, just on the other side of the Swiss border, close to Basel. Transparency is important to us. We like to know where our vegetables are grown. And if possible, we like to buy them directly at the farm. Therefore, we apply the same principle to our watches: all our suppliers and partners are listed on our website. We build our watches without compromise. They therefore address a small niche within the market and not the majority of people. We design our watches so that we would enjoy wearing them. This is the right way for us. ochs und junior watches carry no logo on their dials. Equally, there is no Swiss Made label that distracts the wearer from the watch’s function and design. And since ochs und junior always goes the direct path and delegates as little as possible throughout the production process, we are happy to answer any of your questions – directly and without middlemen. Contact us!